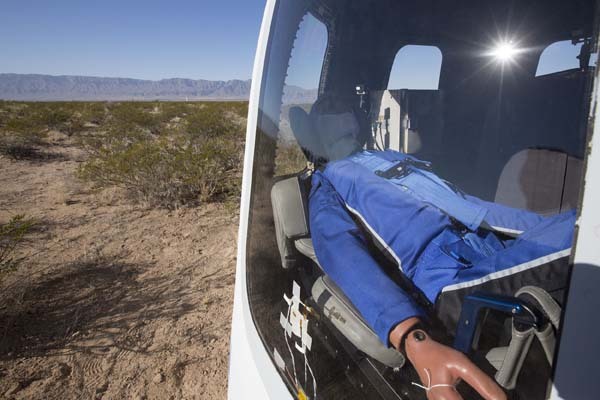 Blue Origin’s New Shepard flight included an instrumented test dummy dubbed Mannequin Skywalker — a nod to the Star Wars moving coming out this week and a prelude to tests with human occupants that could begin next year. 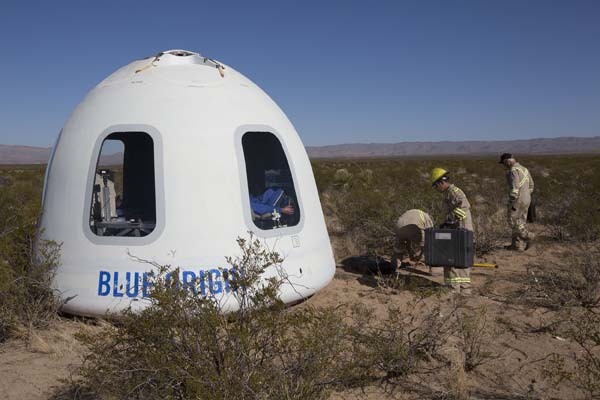 New Shepard capsules will eventually carry passengers on suborbital trips. Yesterday’s flight carried the crash test dummy and microgravity experiments. There were a dozen research, commercial and educational payloads on board. 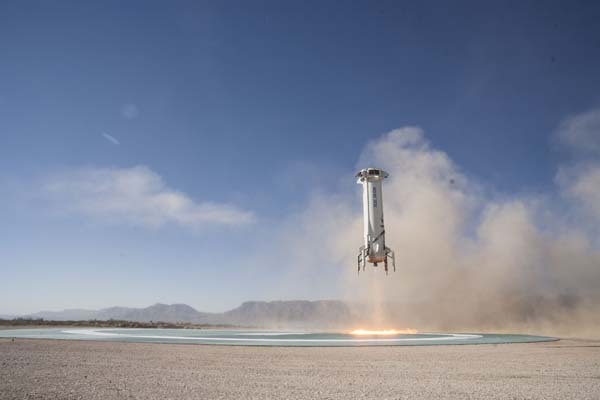 New Shepard 2.0 included upgraded booster and capsule. The capsule featured large windows measuring measuring 2.4 feet wide and 3.6 feet tall that will allow future tourists to gaze out at space and the Earth below. The crew capsule reached an altitude of 99.39 km (326,075 feet) with the booster topping out at 99.27 km (235,702 feet). The vehicle’s drogue parachute deployed 6,463 feet. Total mission time was 10 minutes 6 seconds. The maximum ascent velocity was Mach 2.94 with the booster reaching a maximum descent velocity of Mach 3.74. 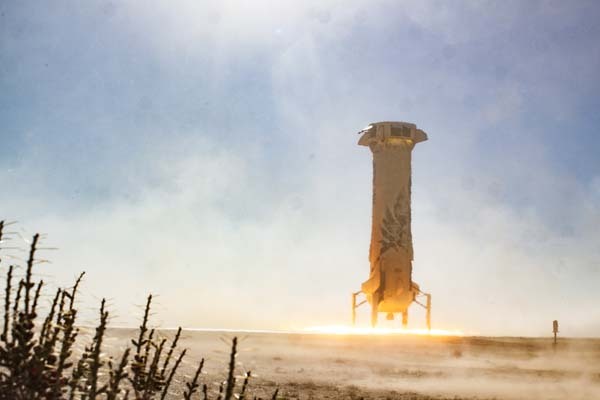 The booster re-ignited its engine at an altitude of 3,716 feet and landed at 6.75 mph. A member of NSF forum claims this latest model of the New Shepard capsule is NOT manrated, which is confusing. 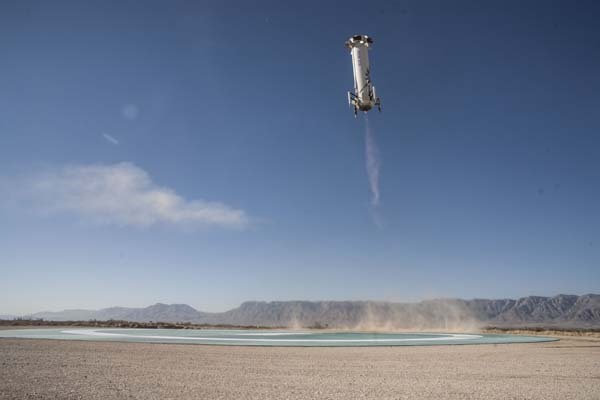 Is there ANOTHER model of New Shepard in production or in ground-testing now? Or is this capsule going back to the factory for manrating modifications after perhaps the 10th New Shepard launch and return?…I assume that the next launch of this capsule is six weeks away, and the launches after that may have shorter time intervals, perhaps 2 weeks apart between the 9th and 10 launches….I’m going to go out on the limb and say the eleventh launch of the manrated New Shepard, with six BO employees onboard, will occur before July, 4th 2018, if all goes well.